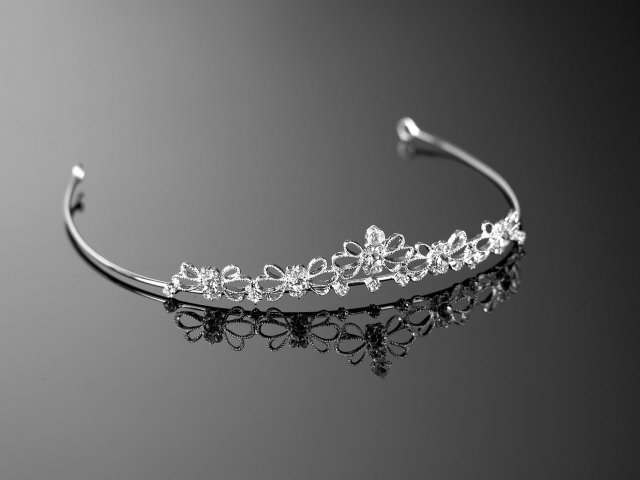 Petite silver tiara from Warren York. The most perfect tiara for the bridesmaids! Small and delicate. Built on a silver frame dotted with diamante. 1.8cm high at centre peak down to 1.2cm thereafter.